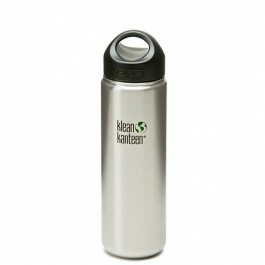 The Klean Kanteen K27WSSL stainless steel wide mouth water bottle is a great way to ensure you stay hydrated on the go! An eco-friendly and BPA free bottle, the wide mouth design makes it easy to grab a quick gulp whenever you need. Dishwasher safe. Order the 27 ounce Klean K27WSSL stainless steel wide mouth water bottle today.